Board 8 > What is most fair regarding Sheik's eligibility in CB11? Having Sheik and Zelda would be more like having Solid Snake and Iroquois Pliskin in. Pliskin is literally just a disguise for Solid Snake. Does this Pliskin fellow have his own entry in a separate franchise? No, but Toon Link does. I would argue Toon Link could be his own contest entry as well. I don't think he has as big a case as Sheik, who, for someone who plays Smash far more than Zelda games, has an entirely different name, look, and style. Toon Link is obviously more similar to Link even within Smash - same name, similar moveset, just different art style. Honestly Iroquis Pliskin could have his own entry were Smash a long running Konami based thing. A party game/fighting game having weird alternate version characters has never really made them their own character. Let's nominate MK1 Rayden as a separate character from the standard MK Raiden because he's in Mortal Kombat Trilogy. Keep in mind I voted that Sheik should be let in but these arguments are bad. If we are going to get character's secret identities as CB entrants, I want Mr. L in CBXI. Agent Triple Zero at your service! This line reserved for the true greatone, Advokaiser, the 2018 Guru Contest winner. The point's that we shouldn't gloss over a character divide that has precedence of being accepted in our contests. It was just Nightmare in 2007, then in 2008 he and Siegfried bothere in the same contest on opposite ends of the bracket. In 2011, they teamed up as a pair of rivals and shared two matches together. Smash has split Zelda and Sheik too. They were the same in LoZ:OoT, but the Smash series has significantly split them apart in multiple ways and they have separate fans now. LoZ:OoT is twenty-one years old and the last time Zelda/Sheik shared a character slot was over a decade ago. If it was good enough for Siegfried/Nightmare, it's good enough for Zelda/Sheik. I'll take that bet if they face off in CBXI. Fox might upset Squall now, and I'm looking at Fox as a floor for Sheik. If you can get Mr. L to outnominate Luigi, I'm absolutely game. Even if he gets enough support to break the nomination barrier, I mean, Sheik has a stronger case but based off some internet-searching I might not oppose. Eveyone's definition is different, but for me Sheik's time is due while ZSS could go either way. Most other circumstances mentioned so far this topic don't fly in my book. My point is they are literally different characters by the time they are both in the contest as separate entities. It's just not really the same thing at all. Like yes there was a time when Nightmare and Siegfried would be considered akin to Zelda and Sheik, but that era ended in 2005. They actually divide into two during SC3. I think you mistook me calling them "different characters" to them "having distinct character slots on the character select screen"
That's not what I was saying. 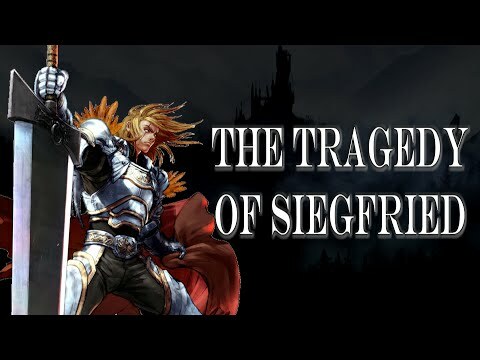 I'm saying Nightmare splits from Siegfried entirely in the story in SC3. It's not a Zelda/Sheik thing. You can plausibly have canon story scenes from SC3 on where Nightmare and Siegfried are fighting and it's not in Siegfried's head or anything. If we run with the concept of different Zeldas in different Zelda games, Zelda has been her Twilight Princess model in SSBB and SSB4 while she gets her Breath of the Wild-model in SSBU. In that way, Zelda and Sheik haven't been the same person since 2001. By that logic, Sheik should have been eligible since 2008. They could still #DownB in SSBB though so I'd feel better going with the SSB4 double-release where they completely split spots. She should not be eligible in the same sense Nightmare and Siegfried should be simultaneously eligible. Saying Nightmare and Siefried are the same character in any way at this point is like saying Samus and Dark Samus are the same character in any way. I support Sheik being eligible but trying to use Nightmare as evidence is exposing ignorance of Soul Calibur lore more than anything. This line of logic leads directly to allowing every different version of Link as separate characters. The SSB-series doesn't have lore as in-depth as SC though, so let's not ask Nintendo to go as far as Soul Calibur to explain their decisions. Nintendo split their character selection slots. their games' original source for models, their mechanics, and their marketing. Why should Nintendo incorporate more into their lore about them when lore isn't what they really do for Smash? Sheik requires no understanding of Zelda to be understood or enjoyed separately from Zelda through Smash, and that's as intended in recent games. I mean, Smash does have lore, thin as it is. Subspace Emissary exists and IIRC has Zelda + Sheik transforms, despite people not wanting to talk about it. The intro to Smash Ultimate where everyone gets killed except Kirby I believe has Zelda transforming into Sheik as well. Honestly I think the argument for Toon Link being separate from Link is stronger than the one for Zelda since they actually always have been separate entities. It's more of a burden of proof thing. Soul Calibur put the work in to establish "these are separate entities now" whereas Smash just slots em in separate slots and shrugs. Throwing em in different slots isn't enough especially when several games running you haven't done that, and the earlier games have been consistent with the Zelda lore. Your whole argument kind of falls apart once you realize that her Smash trophies directly state that she is just Zelda in disguise. I fail to see the issue with separating the Links other than them likely destroying the entire contest. Frankly an even better example than Sheik for separation isnt Tetra, who has a completely different personality and well, even name, than every other Zelda, and she isnt just a disguise either. It's fairly close to Dante and Nero from the DMC games. I think Sheik should be eligible, but Nero and Dante are straight up different people. Nintendo split their character selection slots. This is not a solid argument because this was a game mechanic that affected other characters as well, in particular Samus/Zero Suit Samus. It had nothing to do with any sort of lore or canon regarding the characters. Zelda and Sheik transform as characters in SSBB, yes -- their last game where they do so. Meanwhile, Zelda in SSBU tries to reflect the light away -- she's not transforming into Sheik in any cutscene to my knowledge. 1) Does SSBU have trophies? I know this to be true in past SSB-games. 2) You're skimming the page but reading the footnote. They're still not alike and their fans still like them for different reasons. They don't show Zelda or Sheik transforming on screen but in one scene a group of characters (I think like, Fox, Snake and Lucario? Something like that?) go investigate something and tell Peach and Zelda to stay put and hide from danger. A second later Sheik comes out of hiding and Peach follows, giggling. No denying the obvious implication there. I mean, the argument shouldn't be why Zelda and Sheik aren't the same person because they are. The argument should be why it doesn't matter for them when it matters for others. I mentioned earlier I could go either way on ZSS. Mechanics are canon though. When Zelda's best feature is turning into Sheik and Sheik's worst feature is starting as Zelda, to the point where Nintendo's driven to separate them...that's now part of SSB-history too. Nintendo saw a need to separate them because Sheik players wanted it, and now that's etched into the series as well. If Nintendo will listen to Sheik fans, then why wouldn't GameFAQs? Have we got a link to a cutscene somewhere? Not seeing it. Here's a five-point system I developed when comparing Zelda/Sheik alongside Siegfried/Nightmare. 1) Nightmare is a form of Siegfried = Sheik is a form of Zelda. 2) Nightmare was once considered to be Siegfried, but they entirely separated in Soul Calibur 3 = Sheik was once considered to be Zelda, but they entirely separated in SSB4. 3) Nightmare's play-style is significantly different from Siegfried's = Sheik's play-style is significantly different from Zelda's. 4) Nightmare's appearance is not immediately similar to Siegfried = Sheik's appearance is not immediately similar to Zelda. 5) Nightmare's name and identity are not immediately similar to Siegfried = Sheik's name and identity are not immediately similar to Zelda. There aren't many other characters that fit this closely to the precedent Siegfried/Nightmare set on these five points. This doesn't open Pandora's Box if SB dorsn't want it to. Also, while we're talking about SB, respectfully, he allowed L-Block in his first contest and said during our last contest that he would relax on our normal Character Battle rules to allow the likes of Geralt. Well Sheik is the Geralt of duplicate characters and isn't a joke like several inanimate objects SB's allowed in the past to win a whole contest. Sheik has the reasoning to be the only exception to be made like this if SB wants it. do they reveal that Nero is secretly Dante in a costume at some point? The whole SSE is on Youtube. Oh wow, thanks for sharing that -- I stand corrected. Sometimes limitations ARE good! I have to suspect Nintendo knew there would be an uproar if Sheik was cut. 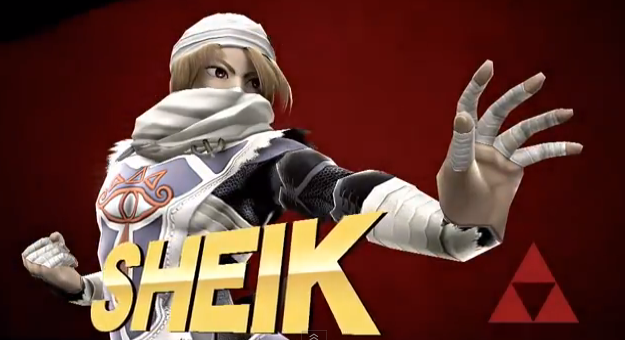 Sheik was once considered to be Zelda, but they entirely separated in SSB4. They just got separate character slots. Much like Evil Ryu has a distinct character slot to Ryu but in the canon is still Ryu. There aren't trophies, but there are character specific Tips sections and each one has a blurb about the character's pre-Smash origins. Sheik's acknowledges her being Zelda in disguise. so there's no game in which Sheik is present and not explicitly indentified as Zelda. Or like how every DBZ game ever has allocated multiple slots to different transformations of the same character. I cant wait till the All Fictional Characters Battle so we can nominate five different versions of Goku. I haven't played as Evil Ryu before, but I'm open to an argument where he's less of a clone than Sheik. And this also goes back to the different Zeldas-point where we haven't seen the same Zelda in a Smash-game Sheik shared a LoZ-game with since Melee in 2001. Good find, thanks! 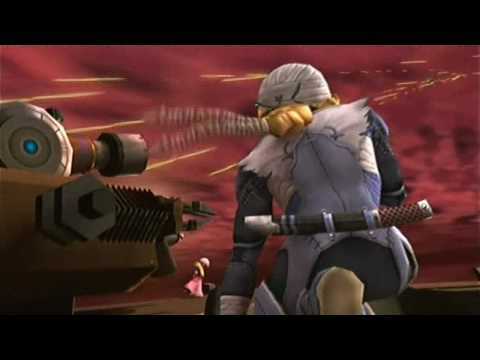 This is also the last Smash-game where Sheik and Zelda transform into each other, so Sheik hasn't been connected to the hip in that way to Zelda in over a decade. It's not about whether they play differently it's about whether they're the same character since that's what matters to Bacon. Guarantee you Nightmare and Siegfried don't get separate slots pre SC3. Evil Ryu is what Ryu becomes when he gives into his MURDEROUS INTENT. Sheik is what Zelda becomes when she wants to cosplay as a ninja. SSJ IV God Goku is what Goku becomes when he SSJs enough. All the same character, all multiple slots in their respective games. As I've said before I voted let Sheik in because the technicality of whether they're the same character is irrelevant to me and I'd like to see Evil Ryu in these. I just want you to admit that comparing Sheik to Nightmare is absurd and was only done cause you don't know Soul Calibur lore then I'll go away. that's not a conflicting point. no one's saying Sheik and Zelda aren't distinct character slots in SSBU. Every playable character is on that banner. it has nothing to do with whether or not Sheik is canonically Zelda. How clear was it from the beginning Nightmare and Siegfried were separate entities? The fact that Siegfried/Nightmare were allowed after SC3 when they separated feels like a point in Sheik's favor now that Sheik has separated from Zelda, and any Smash player will immediately recognize the multiple differences between them.